Every mum (and dad) wants the best for their kids. A light switch went off when our baby arrived about the number of nasties we used in our home to keep it clean. 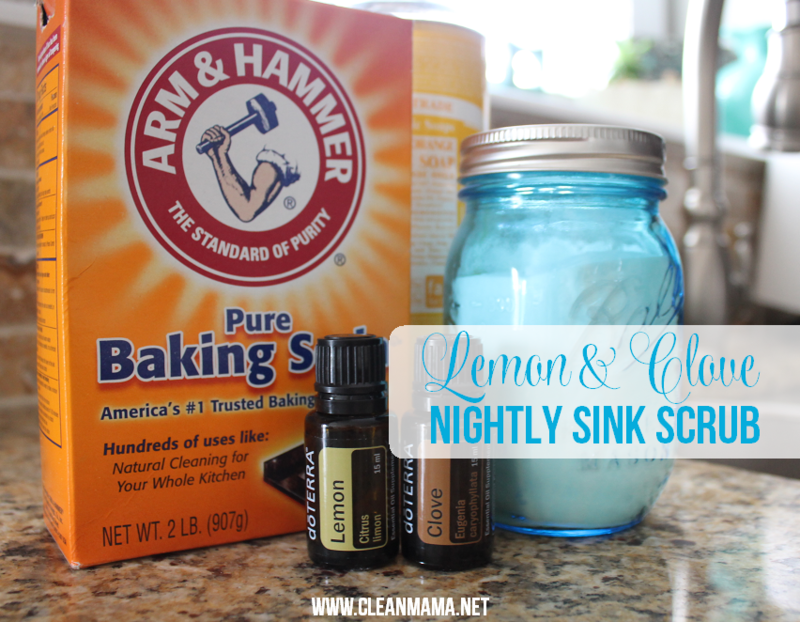 So I set out on a mission to find some homemade chemical free cleaning products that worked. This post includes all my favourite recipes to date. I’ve used Enjo for years and love it, I’ve had my clothes for almost 10 years and they are still amazing! I started toping up with disinfectant sprays because I wanted everything to feel almost sterile and completely germ free. One of my friends asked me what I use the other day after she sprayed the highchair with a chemical cleaner and then was concerned her daughter ate off the tray, so I thought I’d share this list of home made non toxic cleaners. Vinegar – heres a great summary from EcoMum on why vinegar is so good. Easy and it will save you money in the long run, winning! I love this natural antibacterial bathroom spray, it smells clean and gets rid of germs! Just a tip when measuring it into your spray bottle, fill your bottle with water and pour it into a measuring jug first. I made the mistake of trying to get everything straight into the spray bottle and made a right mess with the overflow. I have two versions I use here that I’ve adapted over time and I tend to switch between them. 10 – 20 drops of essential oil. I like lemon and rosemary or lemon and eucalyptus in the kitchen. The eucalyptus has the added bonus of being anti bacterial. Half a lemon – I kid you not. Cut it in half and wipe it over your stainless appliances. The lemon cuts through the grease. Follow up with a clean microfibre cloth and check out your sparkling appliances. I use the enjo cloths – seriously they work so well, no streaks or anything and it’s just water! I think micro fibre cloths would work as well. If you need to spray something 50/50 water vinegar mixed in a spray bottle and use newspapers or old rags to wipe it dry. I use this anywhere that needs a deeper clean, it’s pretty good on grout as well. It smells so good at the end of the day. The trick with home made soaps is to get a foaming dispenser. I use these ones from Miessence. It lasts for ages! You can pick up Dr Bronners Castille soap from the healthfood shop. I used the unscented one so I can add my own essential oils and mix it up. What’s in the average cleaning products? It might shock you to know that there is no required testing, data submission or labelling on cleaning products before bringing them to market. These 3 are the worst and rather than profile the long list of all of them, best know the 3 most popular, how horrid they are, and then simply move on. Pthalates (Diethyl pthalate) – Hormone disrupting to varying degrees, and trials show skeletal disruption also. These are commonly found in almost every cleaning product, listed as ‘fragrance’. They’re in all air fresheners, many scented candles, house hold furnishing and food packaging like cling film and freezer bags. Triclosan – Petroleum derived, triclosan is often the bad boy behind the word ‘antibacterial’ on your cleaning products, hand soap, deodorant, antibacterial face washes and toothpaste. Stay away, as it is often contaminated with chloroform, can cause skin, eye and lung irritation, can disrupt the immune system and accumulate in the environment, toxic to algae and fiddling with the growing habits of some fish. O.M.G is right! Your new weapon to achieve the same disinfecting effect: eucalyptus / tea tree oil. Sorted. Quarternary Ammonium Compounds (Quats) – Found in fabric softeners, fabric softening sheets. These also operate similarly to triclosan, and to boot, cause intense asthma in many people and dermatitis also. Seriously bad news and totally unnecessary. You’ll need a few spray bottles and hand pumps along with your basic ingredients, how gorgeous is the mason jar pump from living simply (above)! I bought some gorgeous amber spray bottles on ebay, Unfortunately the nozzles are rubbish and keep blocking, so I’m yet to find something else I’d recommend. So far the cheap bottles I bought at bunnings have had the best sprays. If you know anyone who sells gorgeous cleaning spray bottles let me know. If you can try and find glass bottles – less toxins in the plastic and the essential oils don’t react to it! If you want to be super eco and reuse, recycle – my sister in law shared with me that most sprays fit on the braggs apple cider vinegar bottles. That makes it a cost effective way to get a glass bottle! Enjoy making your cleaning products! If you have a recipe that you love or hot tip on natural cleaners, I’d love to know more about it. Share the links in the comments, that way we can all find them and use it as a reference.